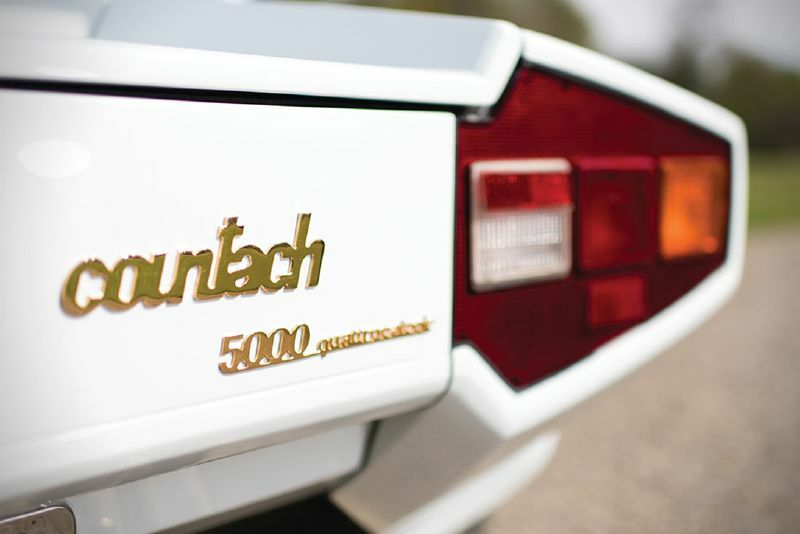 The Lamborghini Countach was a world-beater during the 1980s. It shot the supercar poster craze to the moon and drove everyone nuts with its dramatic angles and defining style, creating a benchmark for the rest of the Italian brand's future. It's often referenced but rarely matched, which is just one reason why the super-rich crave it. 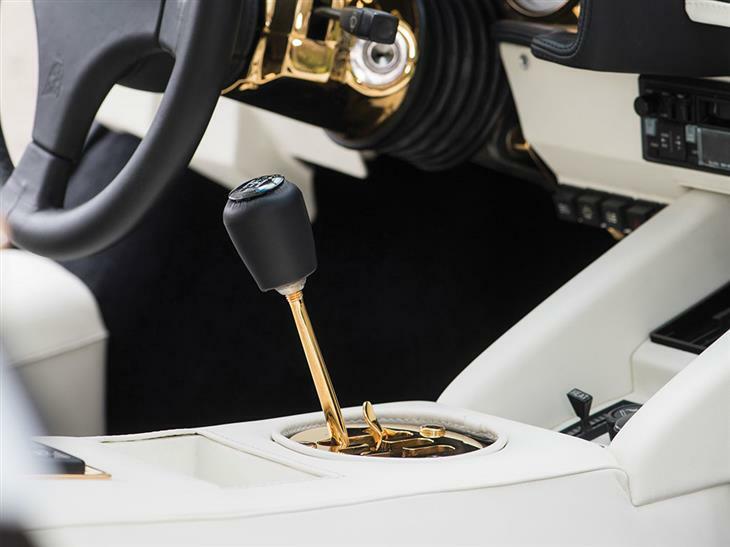 It was more of a style icon than a true performance car, and this example certainly backs that statement up with its stunning paint, showroom-perfect interior—and 14K gold plating. Although its hard to incorporate gold into a car without being gaudy and brash, the white backsplash on this car serves as a perfect and subtle setting for the accents. Hints of the fanciful coating are dropped throughout the exterior with gold badging showing its face initially, then shortly followed by the quad exhaust tips. A hidden door handle leads the way to the interior where you'll find more of the same theme. The cabin drips with opulence, with the gated gearbox controls complimenting the similarly clad steering column that shines with a nearly untouched sheen. I never expected it to work as well as it does here, but seeing it on screen makes me realize how right the decision actually was to work in the gold plating. 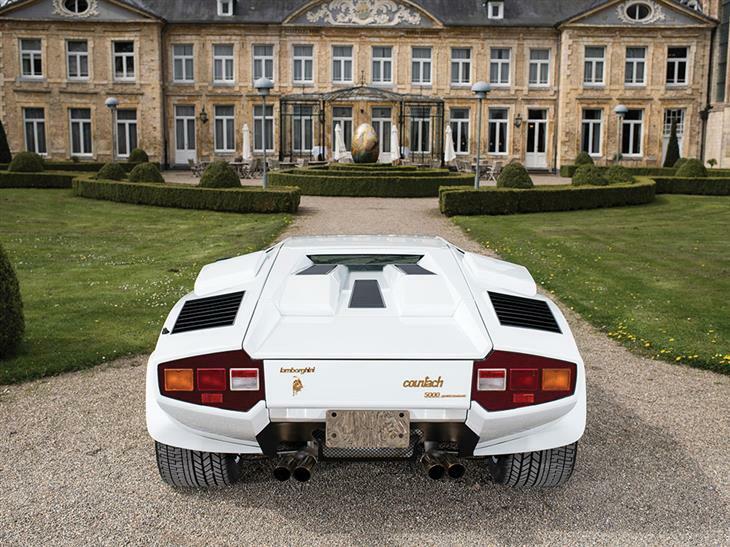 RM Sotheby's is auctioning it at their Villa Erba, Italy event on May 27, and they expect it to sell for anywhere between $518,000 to $627,000. Check out the link here and let us know what you think of the car in the comments or on The Drive's Facebook page!